Facebook gets a bad wrap. It’s understandable, reach tumbles, ad costs rise. Is it still a place that we should try and market our business? But Facebook also gives us tools. We have live streaming, we have chatbots and we have ads. Bring them together as Mary Kathryn describes in our superhero interview and you can weave magic. When you hear today’s interview with Mary Kate I know there is going to be one thing that you will shy away from. 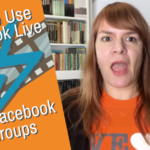 The Facebook Live broadcasts that are part of her sales strategy will be enough to scare many of you off. And I get it, Facebook Live used to be hard for me too. It took me a few weeks experimenting with snapchat stories to give me the courage to get in front of the camera live. The story format that we can now add to Instagram and Facebook is the perfect training ground for live video. For those 10-15 seconds that we shoot for our stories, we are essentially live. I knew if I could master the 15 seconds I could do live. And I did, I took the plunge. My first broadcast was far from perfect. I was so prim and proper, nothing like my current style. It surprises me when I work with clients that they would rather go to all the effort of learning how to storyboard and edit than go live. Live is the ultimate in scary. I also know from the clients I’ve worked with on video that even with all the editing and storyboarding they’d still rather do that than go live. Don’t worry I’m not going to force you to go live but I have a challenge for you that might help you get more comfortable with video and might inspire you to try it. 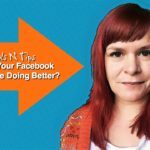 At Social Media Marketing world I sat and watched Mari Smith tell us what was working and what would continue to work on Facebook. Post for 30 days consecutively on your Facebook page as it takes that long for Facebook’s algorithm to kick in. Combine 2 and 3 and you have ‘The 30 days of video’ challenge. 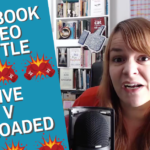 Starting on Monday 15th April 2019 I challenge you to post one video a day to your Facebook business page. This should give you a boost in your organic reach and after 3o days you’ll be a pro. Join the Digital Marketing Superhero’s Group on Facebook to find out more. If Live isn’t your thing, you can pre-record, you can use your videos as a premier as Bella suggested in our last broadcast. If you are camera shy you can create tutorial videos that don’t require you to appear in your videos at all. You can even create short what I’d call ‘motion graphic’ videos, these are graphics that add a bit of movement, it could be as simple as a slow zoom in or you can get creative with adding text or slideshows as part of the challenge. I’ll share some tools you can use for this in the group during the challenge. So I have one question for you. Are you in? One of the reasons video is so effective, particularly when you or a staff member or a customer appears in it is that it lets the human into your marketing. I feel like digital marketing has taken a full spin. For a while, we all hid behind our logos but over the last few years we are benefitting from putting ourselves front and centre. This doesn’t mean we have to post influencer style content, it just means we put forward our name, our face to talk directly to our customers, potential customers and the people who influence them. That’s why video and live video, in particular, is so important. This week’s superpower isn’t a tool or a hack it’s a book. Marketing Rebellion by Mark Schaefer reveals the way even big brands are getting more human with their marketing. It’s a thought provoking read. Go pick it up. 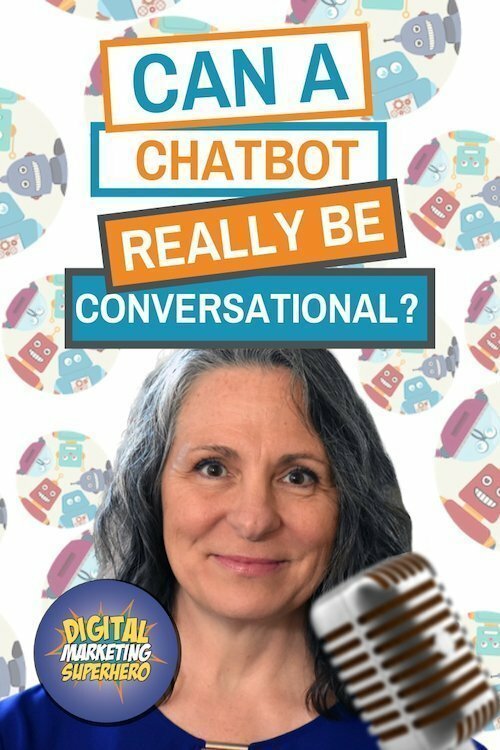 Mary has been nicknamed the “ChatBotMom” by her Conversational Marketing community, and her innovative use of chatbots has helped her clients sell millions of dollars in products, services and online courses, with one client making $1MM in just 99 days from the Messenger Funnel Mary built. Her client successes were sited in The Definitive ChatBot Guide by Entrepreneur.com as examples of how to successfully use chatbots to grow revenue. Conversations sharing thoughts, ideas and predictions on the future of personalised, conversation marketing and AI are what lights MKJ’s world. Thank you. Very happy to be here. Oh my goodness. That could be a little bit long, so I’m going to condense it quite a bit, because I’ve been in online business for about 16 years. I’ve been nicknamed the Chatbot Mom because most of the bot builders are young kids, guys, and I’m not. My business is Messenger Funnels and we build out messenger marketing campaigns, Messenger Funnels in Facebook messenger and chatbots. I think that’s a really interesting area to be in at the moment. It’s definitely growing. I know a lot of the people in my Facebook group are really interested in them and we’re all dabbling. I’m really happy to have you on, talking today about a really interesting case study of how you can use the Messenger bot and how you did use the Messenger bot to sell online courses. Let’s start with how you would even start the process of using a Messenger bot because to a lot of us, it’s just this annoying thing that happens in the background. I think your case study is interesting and it’s the sort of thing that isn’t annoying, I think that’s getting away from that reputation that they have. So where do you start? Oh my goodness yes. The number one place we start is actually to use marketing instead of just advertising, to get people to notice you. The marketing that we use, this is really conversational marketing as opposed to traditional advertising type marketing. The conversational marketing is a one to one conversation and we start that on the Facebook business page. This particular client that I’m going to tell you about today, has been a client of ours for about a year and we started this process for her on January 9, 2018. She has been consistently using this structure that we call the Webinar Chat Bot, that can be used for many other sales forms besides webinars, she’s been using it consistently since that date and it has been performing every single week. So where we start is on the Facebook business page. We have her do either a Facebook live or a pre-recorded video, 10 minutes or less, giving value. Specific high-level value of the hook that you will use to bring people into your world. So, for instance, she sells an online course that helps people start an eCommerce business. So some of the things that she uses in her Facebook lives might be, the six apps I use in my business every day. Or the 15 biggest business mistakes I have made and how you can avoid them. Those kinds of topics. She does a 10-minute video explaining that and we attach that to ManyChat using the ManyChat comment tool. Anyone who comments on that post now becomes a subscriber in ManyChat. What we tell them, what she tells them during the video is okay guys, don’t worry about taking notes, I’ve got you covered, just listen to the stuff I’m talking about and when you comment on this post, I will give you my PDF notes in Facebook Messenger. So she gets their attention and then tells them she’s going to give them something in Messenger, and you do have to by Facebook’s terms of service, you need to say that. When you comment, I will give you X, Y, Z in Messenger. Is that any comment? Or is it, sorry I’ve just seen a lot of them that will say “Comment yes”. Oh no, that sounds definitely more like click bait, and Facebook looks at it that way. We don’t want them to comment a specific word, we just want to engage. One of the things she says is, I’m going to ask you what is the biggest business mistake you’ve made and when you comment with your answer, then I will give you my notes in Messenger. So it’s a completely open comment. Okay, sorry I interrupted you. So after they leave the comment, then what happens? Oh my goodness, no worries at all about interruption. That’s what this is about, right, back and forth, it’s a conversation. What happens is, they get the PDF and we just deliver exactly what we promised and say here it is, then we give them, we actually put in a waiting delay, a timed delay in Messenger and manage that for 30 seconds because this PDF should be no more than one page. It’s just going to be bullet points of what she talked about. Not big, long, wordy stuff, not a lot of marketing, don’t send them links or any word to send them out somewhere else. It’s just delivering the value. You obviously should brand it with your name and your website and that kind of stuff, but no other links or any other stuff. Then we give them that, we wait 30 seconds for them to consume it, then we jump back into the bot after 30 seconds and say, “Hey, if you liked that, then maybe you’ll like this other free thing that I have that gives you another piece of value.” And of course, I’m paraphrasing right. Then we give them another PDF. Another piece of value and typically because we have our clients do this video to Messenger every single week, the second PDF is last week’s PDF. So we have a condition in the bot that tells whether or not they’ve received that video or that PDF and if they haven’t, we offer it to them again, or we offer it to them. We give them an option, would you like to see it? They can say yes or no. Most of them, of course, say yes. Of course I would. A 10 and 13-year-old, if they can do it, I can do it. So then we say great and we do a little bit of nurturing and ask them a couple of questions. Are you a newbie to online business? Or are you looking to grow your existing store? So we do a couple of those segmenting questions and then just basically say, “Great, I can’t wait to share it with you, I have a free masterclass showing you exactly how this works. Click the link.” Or actually, we have integrations so we just have them give us their email address and we automatically register them for the webinar. Then they go straight to the webinar. Then go to possibly buy. Okay cool. That’s something I didn’t know you could do, but maybe because I’m using the free version of ManyChat, the email to registering people for a webinar. Is there a particular using, Zapier or? Zapier. It depends on the program you’re using to deliver the webinar. So, Alison specifically uses Click Funnels. We can use Zapier to go into Click Funnels to register them and have them see that webinar. We have clients using Webinar Jam or Ever Webinar or Evergreen Webinars and we actually built a custom integration for that because Zapier is very minimal for Webinar Jam and we did the API of ManyChat and had that talk to the API of Webinar Jam. The rest of them, as long as they have Zapier integration, you can connect the webinar account to ManyChat. The only thing you can’t do is have an auto-register. That’s what we have to code into it. 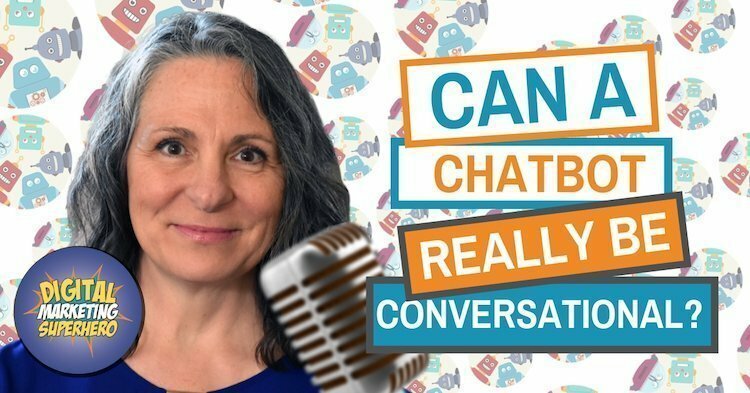 So we’ve done that where they don’t have to put in their name and email address like you normally would have to for a webinar, ManyChat handles that for them. Yeah, maybe a little bit too much for us. I was just wondering because I know there is an option within ManyChat if you upgrade to the paid version, where you can get, but that just confirms email it’s not sending it anywhere, anyway. No it does send them. So you can actually send them. You do have to have the Pro version for it, but you can send the email address into your CRM. You can actually subscribe them to an email list in InfusionSoft or MailChimp or ActiveCampaign or ConvertKit, any of those and you can also then dump them on, send them to the registration page for your webinar if that’s what you want to do. If you don’t want to connect it more custom. Yeah, that’s exactly what we’ve been doing. Yeah. It’s just that the integration, the custom integration removes that barrier because once people then have to go put in their name and email address, you lose a lot of people that way. Anyway, it doesn’t matter. The people you get, the number of people you get to that registration page is so much higher and the actual attendance to your webinar typically increases by, you ready for this, 30%. The attendance to your webinar typically increases by 30%. Take me through, is that the end of the process or is there something else that happens after that? That’s the end of the process from webinar, or excuse from ManyChat. That’s the marketing part. That’s why I say this is really conversational marketing. Notice, we didn’t even talk at all about the webinar or whatever it was we were selling in the beginning. We were just giving value. That’s why this works. It decreases that barrier. It decreases their fear of who you are and it helps them develop a know, like and trust factor much higher than anything else you could have done with ads. That’s the process in Messenger, but it continues after they, you can actually do this, after they attend the webinar, since you’ve connected them to your CRM and you’ve subscribed them to your email list, typically that’s where sales are tagged is in your CRM, right. As long as you carry through, and there’s a way you can do this with Zapier, as long as you carry through your Messenger ID, that individual Messenger ID for that particular subscriber, as long as you carry that through, then Zapier can also tell ManyChat when that tag is changed in MailChimp or InfusionSoft, wherever you are, when that tag is changed to purchase, then Zapier can automatically tell ManyChat to also tag them as purchased in your bot and unsubscribe them from the nurturing sequence or sales process for whatever you’re selling, so that they don’t keep getting followup sales messages, ManyChat can also know that they are now a client or a customer. That’s great. I love that. It’s amazing. I’m telling you, the loop is closed. So we start in ManyChat, we go take them out to a webinar, we take them out to your CRM and then we end it back into ManyChat and then they don’t get annoyed with sales messages when they’ve already purchased. What sort of results, you were getting 30% more people watching the webinar, were the ManyChat people more likely to buy then? That’s the exciting part. Because most people are just using ads. We’ve been trained to use Facebook ads to a registration page for the webinar, hopefully people will come, we follow up in emails and then hopefully they’ll buy. What happens with this marketing process, instead of an advertising process is that again that barrier, that wall that they have up because they know, they just think you want to sell them something, this is prospects, right. That wall comes down because we’re giving value first. What happens, because you do this every single week on your business page, what happens is they, the know, like and trust factor increases and our statistics show us that it takes 2.8 times of them actually going through this process, seeing the video, getting the PDF, being nurtured to the webinar, 2.8 times of that before they buy. So what happens is, because we’re doing it every week, we send people to the webinar, but because people have opted in, say two times ago, two weeks ago, they’re seeing the webinar this time and buying. The number of people being sent to the webinar is lower than the number of people buying because it’s a cumulative effect. So let me tell you the statistics. This particular client, she sells a course that’s $997. When we started with her she had the Facebook page of about, at the time it was maybe 10,000 people on the page, so she had a decent, obviously a decent following. She, within the first eight weeks of doing this process, we had her up to 40 sales of her $997 product per week. Yes. The average was anywhere from 25 to higher. I think the highest we’ve ever had in one week was 75 sales. We actually, once this ramped up in the height of spring and launch season, last year, we actually were able to help her sell $1 million of her course in 99 days. Yeah, and since then it’s just been consistently selling. We haven’t changed a thing. Every week she goes live on her page. Every week we give a PDF. Every week, she gets sales. I think the lowest week was five sales. It fluctuates, but that’s. Yeah, that’s $5000 in one week. I mean, I don’t think anybody would sneeze at that. Well, Mary Kathryn you really are a digital marketing superhero. Yeah. I’m definitely going to go and play with my ManyChat a little bit more. I’m not sure I’ll be making that many sales, but I will definitely be working on it a little bit more, you totally convinced me. I have to tell you, you will surprise yourself Amanda, you really will because this is actually connecting with your audience in a way that no other medium can do. Email cannot do this because it is actually a back and forth conversation. Even though you’re automating that conversation, you can nurture people, you can ask them segmented questions to find out where they are and give them the exact value they need in order to take the next steps to determine whether or not you are the person they need it from. One of the things I would caution you against is worrying about numbers of subscribers. I would rather have a small group of white hot people that love what I have to say, than a huge group of lukewarm people. I ask you to please invite people to reject you. It’s okay if they unsubscribe. As a matter of fact you would rather have them unsubscribe than stay in your bot and feel like you’re bothering them every time you send them a message. Yes. Thanks so much for sharing that case study with me. I guess we could have talked about it much longer, but I’m trying to keep these short. I know, it’s a long process, but I’m telling you if there’s anything else that your audience would like and they’d like to know more, I have no problem coming back on or they can reach out to me if you put any of the contact information in the show notes or anything like that. I just, my whole focus is making sure that chatbots do not become email and that we actually use it in a way that improves our society not spams them. I really want to make sure that we nurture people to help them grow and change lives. That’s it. If we do that, then it will stay as pure as we can possibly make it.